If you want to be a writer, write. Ever wondered how to breathe life into people made of pen ink and punctuation? I went to see Gavin speak at Sheffield library recently. 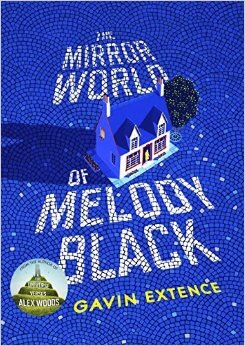 He talked about his second book: The mirror world of Melody Black. The books is, to a large extent, about the protagonist’s struggle with her mental health issues. I found the topic interesting as it is generally still a taboo subject in our culture. Gavin told us that some aspects of the book were taken from his own experiences and was very open when he was asked some particularly personal questions. I was surprised to find that the audience seemed more interested in the author than they did in the book. His talk got me to thinking about how much of ourselves leaks into our writing. It is a commonly held belief that we are in everything we ever write and that is certainly true of me. My characters and settings are all rooted in personal experience because I would find it very difficult to bring them to life otherwise. I am, as they say, an open book. I think this is true of Gavin’s book too. The character’s story would not have had the depth it does had the author not had some knowledge of the topic first hand. All in all it was an interesting event and I am looking forward to reading the book.